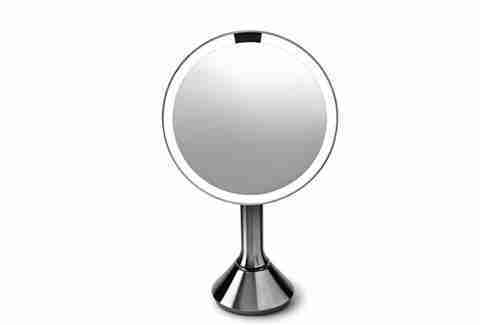 This sturdy stainless steel mirror from Simplehuman has 5x magnification that allows you to see both extreme detail and the big picture, so you can really examine your handsome look. 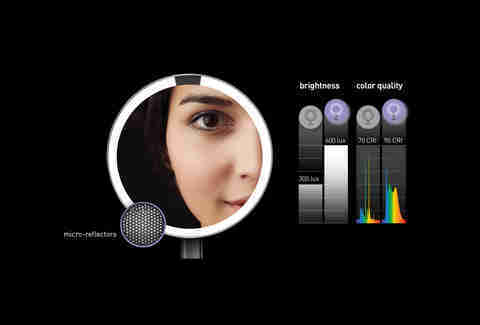 It is equipped with a tru-lux natural light system that lets you see your face in full color-spectrum variations. 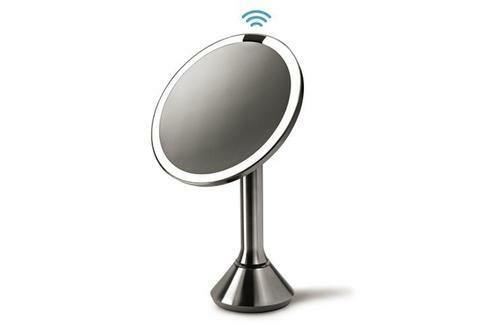 The wireless sensor automatically lights up as your face gets close to it and turns off when you walk away. 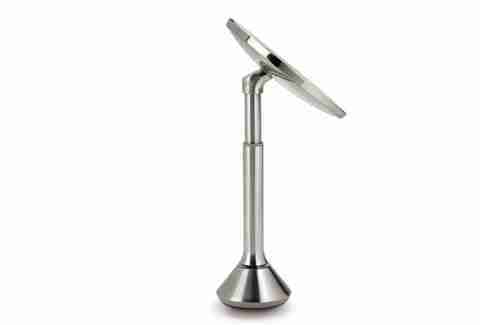 This distortion-free mirror contains super bright rechargeable LED bulbs that reflect consistently to give an evenly distributed light no matter where you are. Now you can check yourself out more thoroughly than ever.